Have you picked out your tree yet? At this time of year, tree farms are the place to be. 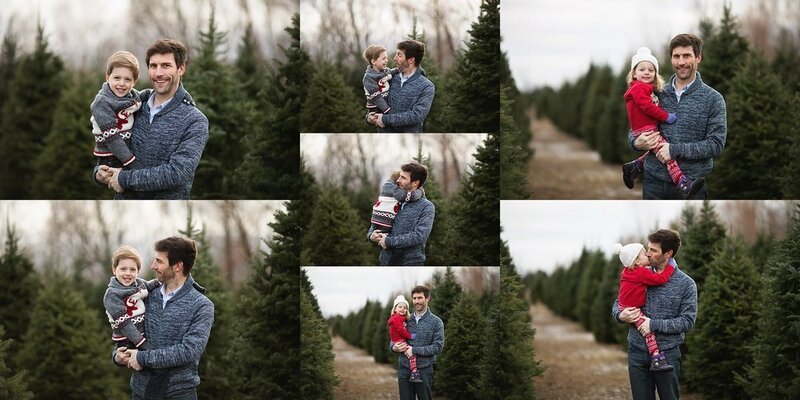 The beautiful green trees, the long lines, and fresh outdoor air makes them an ideal festive family portrait location. We had so much fun! They braved the brrrs and enjoyed their time playing among the trees. Lots of sillies and giggles which can make any day brighter, but especially family photo day! Playing outdoors puts everyone in a better mood and you don't have worry about the kids breaking anything!